Its just a few days after socialite Corazon Kwamboka penned down a ‘Hateful’ message towards her socialite counter parts claiming that they all try to be like her but they can’t. Corazon went ahead to claim she is too beautiful and her ample b@@bs and body is for the filthy rich not the famous Team Mafisi. 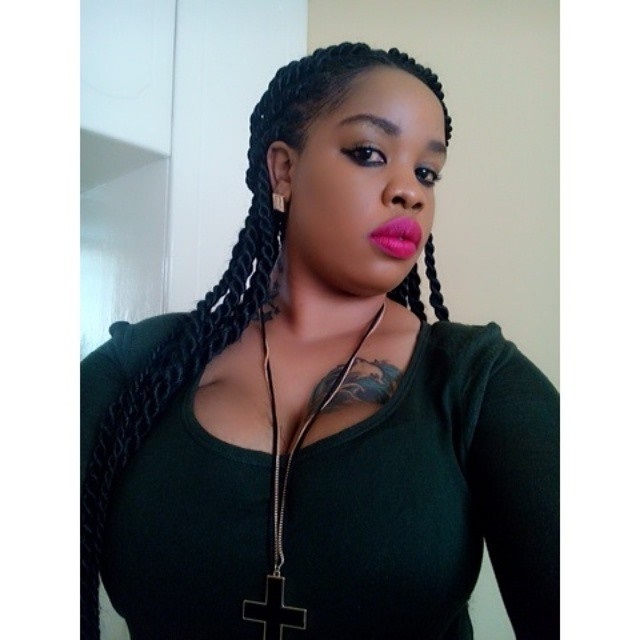 Well this has caught well endowed socialite Bridget Achieng who has decided not to mute on the insults like others who have not yet opened their mouth on the matter. Here is what socialite Bridget Took to social media in reply to Corazon sentiments. Soooo many girls don like me,.....I keep hearing, aweeee!! too bad! Is it because your man checks me out!? Is it because am hotter than y'all? Is it because I can lay my edges and you got nothing to lay? Is it because am the talk in town,and no one notices you when you pass? Is it because am just too blessed ? Is it because your dad and family thinks am better than you? Is it because my contracts don't fail? Is it because I got several jobs and talent and you got none?